International carbon finance experts Climate Corporation, operating in Australia , China and Europe have signed an agreement with UK based carbon management company co2balance to develop a carbon reduction project, delivering lifesaving clean cooking technologies to some of the poorest districts of Rwanda. The project was recently registered by The Gold Standard 1 as the lead project in the first ever Micro-PoA, confirming that the methodologies employed to deliver carbon savings together with social, health and welfare benefits for some of the poorest communities in Africa, will deliver Verified Emissions Reductions. Having successfully completed an initial trial phase and received strong community support at regional stakeholder meetings, the project is moving forward to install up to 30,000 improved efficiency cookstoves starting this autumn and will be completed by the end of 2015. The project is based in the Bugesera District in South Eastern Rwanda, a relatively dry and low lying area of the country, where evidence of severe deforestation has lead to significant soil erosion and loss of both farm land and forest biodiversity. The families who receive the energy efficient stoves will benefit by reducing their household fuel burden by around 50% 2 saving time and money whilst protecting endangered forestry regions from over exploitation. In addition to the reduction in fuel the families experience a significant health benefit as the stoves reduce the indoor smoke pollution by over 70% 2. As pneumonia kills more people in East Africa than Malaria this is a massive contribution to the health of the community, for many years to come. The initial production and subsidised distribution of the Rwandan built stoves has been financed by Climate Corporation Australia, with the partnership managed in cooperation with their European operation in Austria. This process will create much needed local employment in Rwanda during the production and installation phase of the project as well as personnel employed to continue community support through education and maintenance of the cook stoves. The confidence of the community is ensured by using a locally made and supported product. The stoves design has been refined by co2balance, based on their previous successful projects in East Africa, with local input to match closely the needs of the host communities. Alexander Winzer co-founder and Managing Director of Climate Corporation Australia states, “We are exited to partner with co2balance in this important project that will not only generate Verified Emissions Reductions of the highest quality, but much more importantly, support sustainable livelihoods by halting and reversing environmental degradation and reducing carbon emissions related, respiratory diseases”. 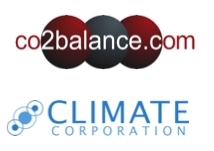 Established in 2003, co2balance UK Ltd is a leading, UK based, carbon management provider offering carbon calculation, management and reduction services to leading blue chip companies including, BSkyB, Toshiba Europe, Gaz De France, Fiat and Flybe. As a project developer co2balance UK Ltd creates African Gold Standard and CDM projects that focus on social, health and community benefits to the families within the project area, in addition to carbon savings. Climate Corporation has been active in the EU ETS and Kyoto markets since 2004 and is operating offices in Austria, China/Beijing and Australia. The company is managing a pipeline of globally more than 50 emissions reduction projects. The diverse nature of our project portfolio makes it possible to offer tailor-made services for buyers and sellers of carbon credits ranging from single projects to specifically arranged project portfolios. With the company having gradually widened its focus from the EU ETS to Least Developed Countries in 2010, Climate Corporation has not only been successful in registering two renewable energy CDM Program of Activities in Africa, but has now also become a significant investor in the emerging field of household energy efficiency projects. 1 The Gold Standard Foundation is a Swiss based, non-profit organization providing certification of premium quality carbon credits in both the voluntary and compliance markets. The thorough and extensive methodology and approval process of the Gold Standard is designed to certify the highest quality energy efficient and renewable energy carbon reduction projects. All Gold Standard certified projects demonstrate real and permanent GHG emissions and sustainable development for the local communities that are measured, reported and verified. Certification is not awarded easily. It requires a project to submit substantial quantitative and qualitative research as well as to verify carbon savings and sustainability claims by an outside third party. In addition, each project commits to long term follow through and continued evaluation. Therefore, “Gold Standard certified” implies the most rigorous review of VER credits available on the market. Its VER registry is characterized by transparency and equality of access for all market participants. The Gold Standard quality benchmark is derived from the actions of the Kyoto Protocol and its methodology is currently endorsed by over 70 non-governmental environmental and development organizations worldwide. The backing of this wide variety of supporters boosts the integrity of the Gold Standard and allows its credits to be sold at a premium price. 2 Fuel saving efficiency as well as smoke and particulate reduction vary according to local usage and fuel processing techniques. These figures represent an average performance of our efficient cook stoves and are within the expected parameters of the United Nations sponsored Global Alliance for Clean Cookstoves (www.cleancookstoves.org), for whom co2balance are an implementing partner. 3 Third party organisations interested in purchasing credits derived from this project should contact either co2balance UK or Climate Corporation Austria or Australia, depending on your locality. 4 The first rollout area of the project is registered as VPA1 (GS-1267) within a multi country POA or Program of Activities (GS-1247). A framework within which a series of small projects or VPA’s can be evaluated in a simple process. This enables project developers to validate a project once and replicate the delivery within a predefined geographic area.